It is widely believed that prehistoric art speaks volumes about the existence of extraterrestrial life. Beings with an unusually large physical composition, with bulging eyes and huge craniums are interpreted as aliens in prehistoric paintings. If you don’t believe it, head to the Sego Canyon in Utah and have a look at the cave paintings there. The Anasazi teamed up with Fremont Native Americans to create these prehistoric masterpieces as early as 5000 BC. Ancient rock paintings in Charama, India, depict beings with unclear features and with costumes that resemble space suits. There is also a depiction of objects that look quite like the UFOs . So, the question is whether the depiction of aliens in prehistoric paintings that are thousands of years old should mean anything to us in the 21st century? Yes, they do. Archaeologists in Charama have asked NASA and ISRO to help them figure out the mysterious symbols in prehistoric art. It isn’t a silly request by any means. Prehistoric paintings have always been the subject of curiosity for those who study them. Look at any prehistoric painting in the world. You will often find strange beings, with physical features and proportions that don’t look human at all. So, there is indeed a high possibility that the unfamiliar figures are actually aliens in prehistoric paintings – some beings with higher intellectual prowess than humans who came to Earth to build great architecture and left when they were done. 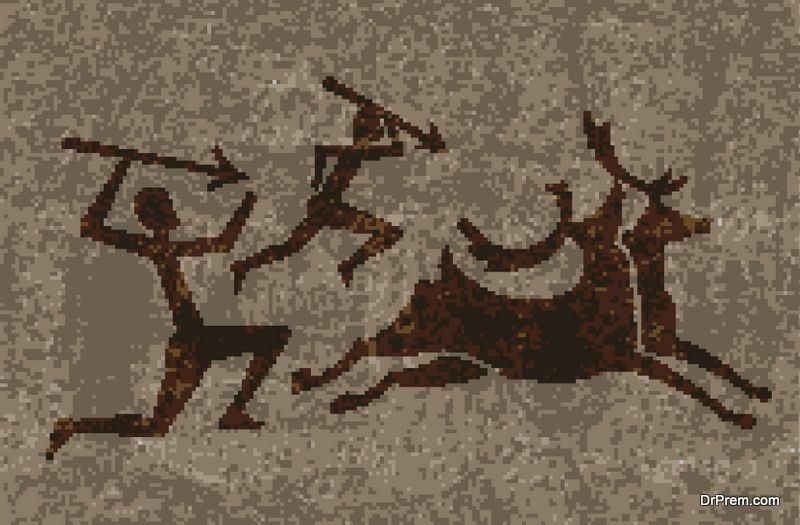 If this is one of the things you did not know about prehistoric paintings, then go ahead and dig deep into it. Who knows, you might find an answer. 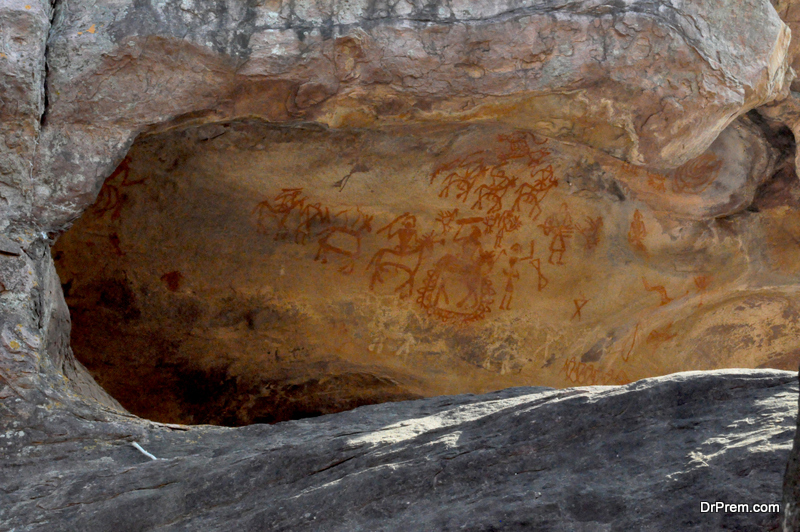 Prehistoric paintings depict men with their spears and spades – ready to embark on a hunt. This led many researchers to believe that it is the men who carved the art on walls and rocks. Sadly, they were wrong. In 2013, National Geographic wrote an article which claimed that 75% of the all the existing prehistoric art is the result of the painstaking labour that women went through. Yes, the mainstream prehistoric artists were women! Scientists studied the hand stencils, one of the most repeated motifs in prehistoric cave art, and realized that women painted most of it. How? Scientists have observed that a woman’s ring finger and index fingers are of almost the same length; while in a man’s case, it is not so. 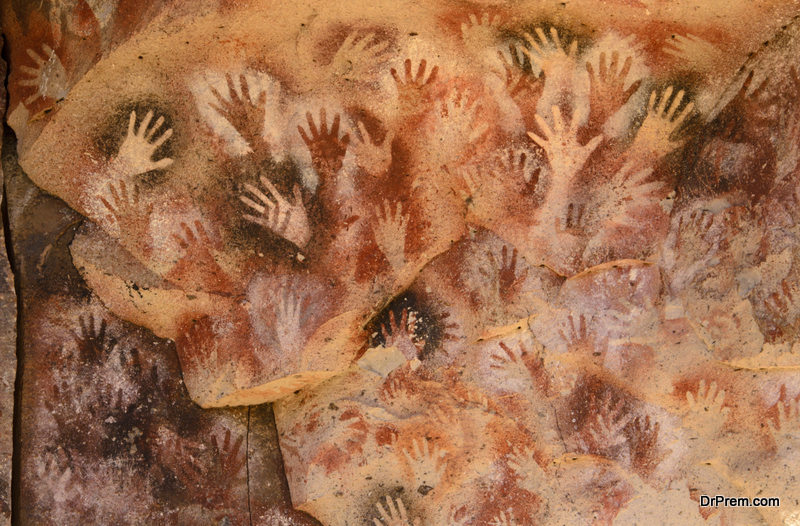 Scientists found pronounced differences in the handprints existing in the caves. So it was clear. Most prehistoric artists were women. All thanks to the hand stencils – you now know one of the things you did not know about prehistoric paintings. It is common knowledge that prehistoric paintings aren’t the most easily understood ones. Various prehistoric rock and cave paintings have mysterious symbols associated with them. These mysterious symbols in prehistoric art are difficult to interpret. But, researchers have come up with an answer. Unusual markings, such as cups and rings marks, on a prehistoric rock found in Scotland may indicate how prehistoric rituals or star mapping might have been performed. Such stones were often used at stone circles – where various rituals in the prehistoric times would take place. Such mysterious symbols in prehistoric art might also indicate a resemblance to numerous star constellations. Mysterious symbols in prehistoric art, such as trapped insects, deadly spiders, and webs might look like a depiction of a prey-predator dynamics. But, some researchers believe otherwise. Dr Derek Cunningham, who penned the book, ‘4000 Years of Stone Age Science’, suggests that these symbols are just that – symbolic. Such mysterious symbols in prehistoric art might be a reflection of archaic astrological writings. Prehistoric art is replete with unusual, strange patterns and symbols. It is not easy to understand whether they are the mirror of a society that has passed, or simply a result of primitive, creative imagination. However, there are things that you did not know about prehistoric paintings. And now you do. Prehistoric paintings tell a story of their own. All that is needed to know the things you did not know about prehistoric paintings is to simply delve into the art of the past. ← How the royal wedding 2018 promises to be different than ever before?